Brittany & I have been friends, oh wow, 6 years now I believe? 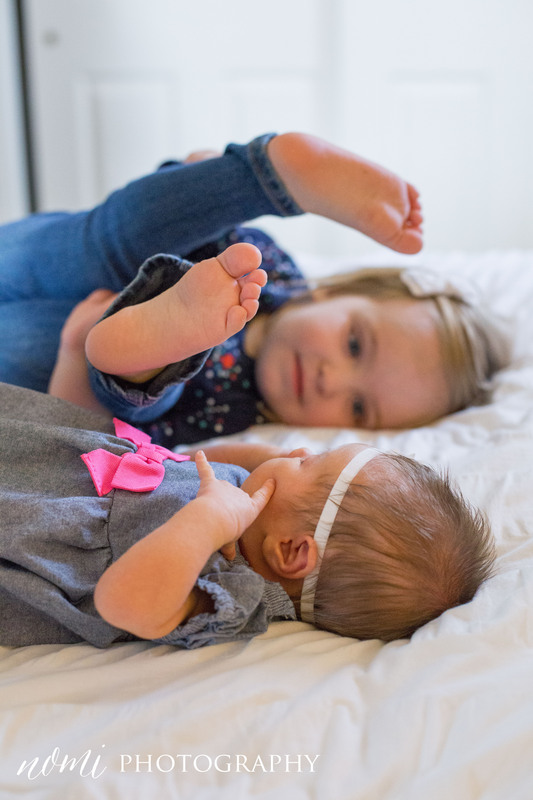 When I went over to her & Brian’s house for little Avery’s newborn session, we reflected on how we’ve been friends as she’s had all 3 of her beautiful girls. So thankful for treasured & long-term friendships like that. 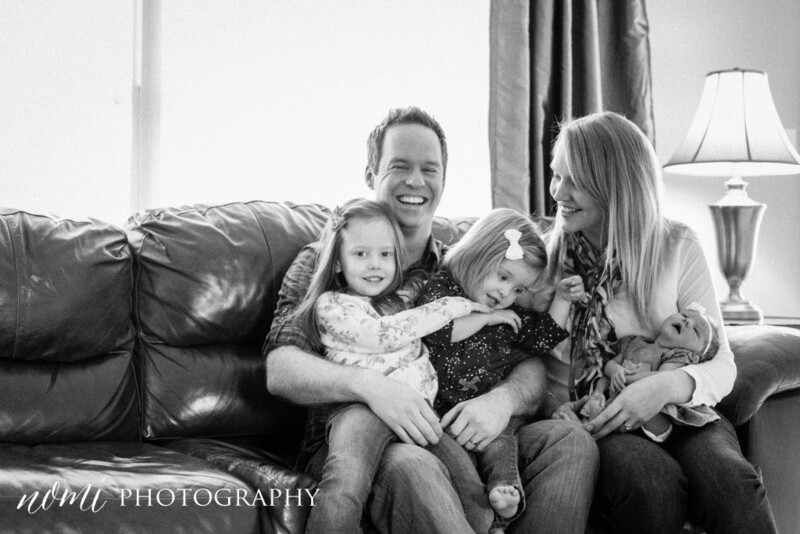 In those 6 years, Brittany & Brian have welcome 3 lovely ladies into their home. And the newest addition is precious Avery Grace. THIS, is one of my favorite images EVER! 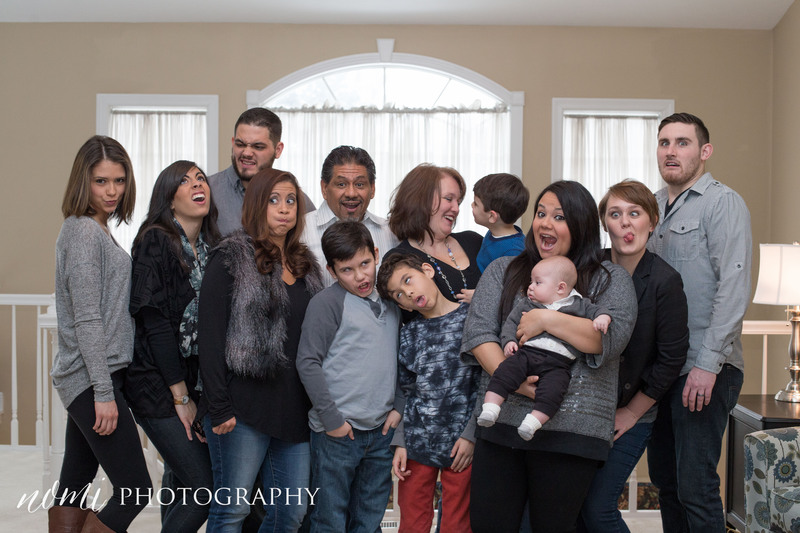 Look at Carly’s face! 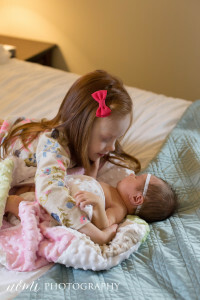 It was the very FIRST time she’d ever held her new baby sister. And I had the privilege of capturing that moment. LOOK at her face! Look at how EXCITED SHE IS! Can barely handle the preciousness!!! You’re an inspiring mother Brittany. You have three girls that have every personality under the sun. And there all yours. And you & Brian are raising them in such a God-fearing & loving way. I love you my friend. If I could, I would give you a “Best Momma Award” every day. When we start having children, I will be calling you 😉 LOTS. And the whole family is together. And complete. Welcome Avery Grace. You are very loved by many. Can’t wait to watch you grow up. 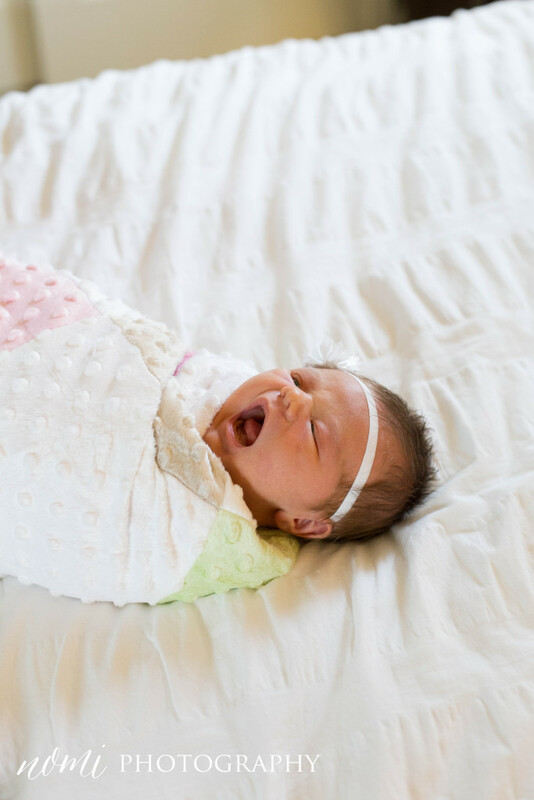 If you’d like more info about having an in-home life&love Newborn Session click HERE to find out more details. This entry was posted in life&love session, newborn on March 25, 2015 by Naomi Wilcox. This time last year, I was working fulltime at Eric & I’s church, First Assembly of God in Normal as an administrative assistant. One of my roles as an admin was to to support the various ministries we had including our ever-growing Spanish Ministries. Pastor Jose & Melissa Martinez lead & maybe I should say RUN that ministry that is growing & changing lives. I truly admire this dynamic couple that I ADMIRE. I really don’t know HOW they get done all that they do. Seriously. It’s obviously the blessing & favor of the Lord’s on their lives. But Jose, let’s just be real & honest & tell the truth, your wife is the amazingness behind your team isn’t she? 😉 She (& Jesus) of course is why everything gets done & happens 😉 I seriously want to be Melissa when I grow up. 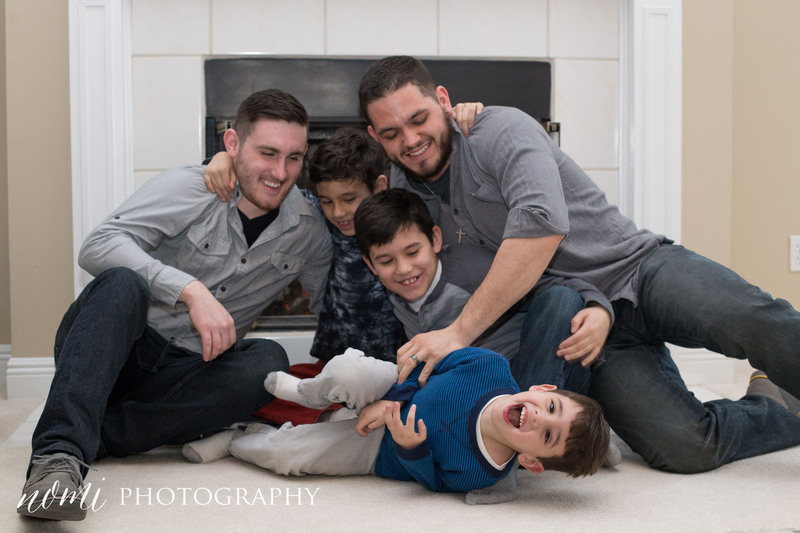 I got a text one Friday night a couple weeks ago from Pastor Jose asking if by some chance I was available to come over to their home & have a family session the next day. He said that ALL of the kids were in town (& one daughter had traveled all the way from Florida!) & asked if it could possibly work out for me to come over. I said YES. Of course! Moments like this when family especially is spread all over, don’t just happen every day. The next day I headed to Jose & Melissa’s new home & entered in the door to be greeted by the loving & FUN Martinez Family!!! Even though our session was primarily indoors, I grabbed each of the couples for some quick outdoor snow pictures on Jose & Melissa’s deck! It was cold but everyone was such good sports!!!! Then we went inside! 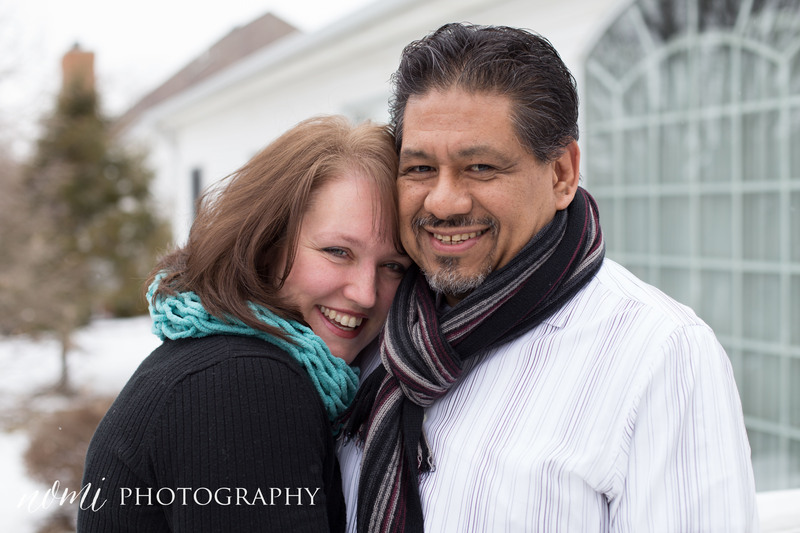 One thing that was really cool about this session was Jose & Melissa have only lived in their new home about a month when this session happened. 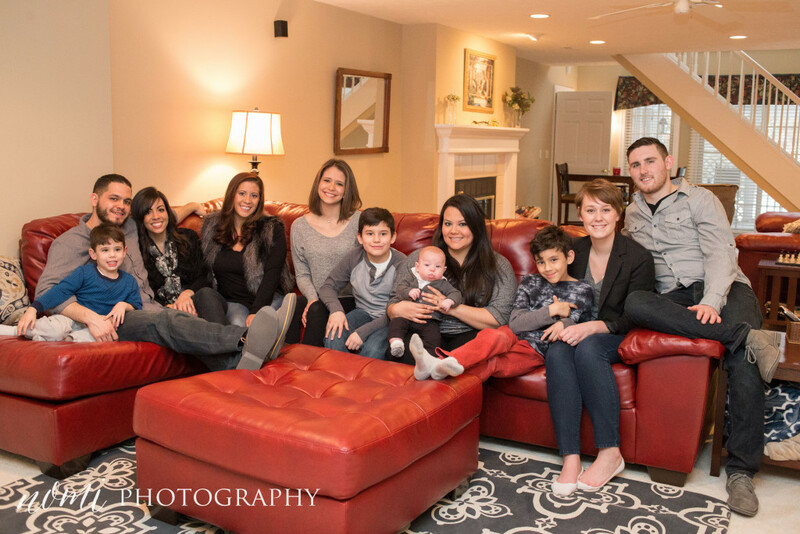 What a SPECIAL memory they have now of pictures in their OWN home!!! And so many memories more to be made in their beautiful new dwelling. 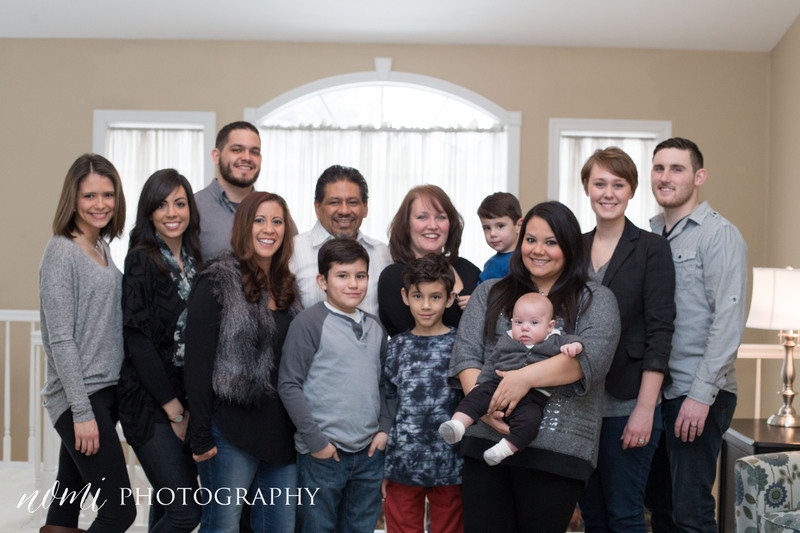 All the kids & one grandkid!!! 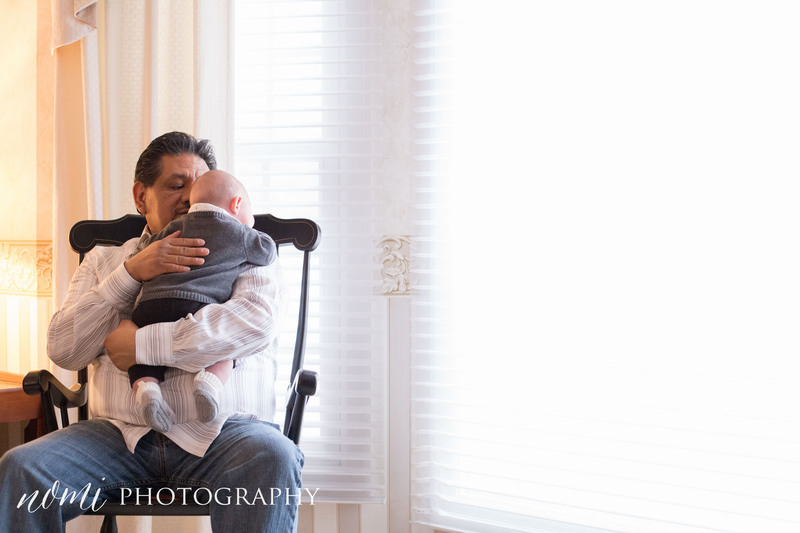 Speaking of grandkids, I LOVE, LOVE, LOVE this shot of Pastor Jose holding & singing to his grandson! This entry was posted in family, life&love session on March 13, 2015 by Naomi Wilcox. Mom & Me Mini Sessions! 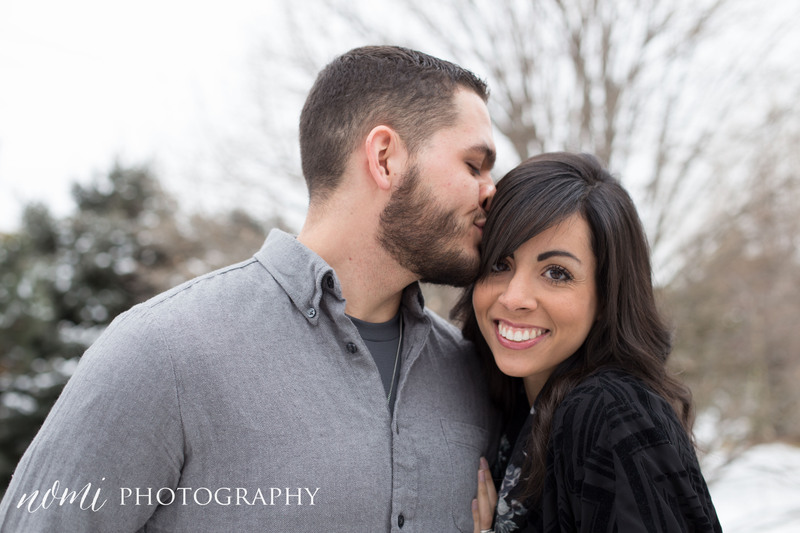 I do Mini Sessions because I believe in relationships. 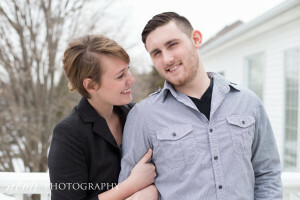 I believe in capturing the special relationships that are in our lives & mini sessions are the perfect way to do that! Mom & Me Mini’s will be on Saturday, April 25 & these images will given to you in time for Mother’s Day on Sunday, May 10 on a USB flashdrive. This is a 20-minute interactive photo session for just mommies & their children (of all ages!) 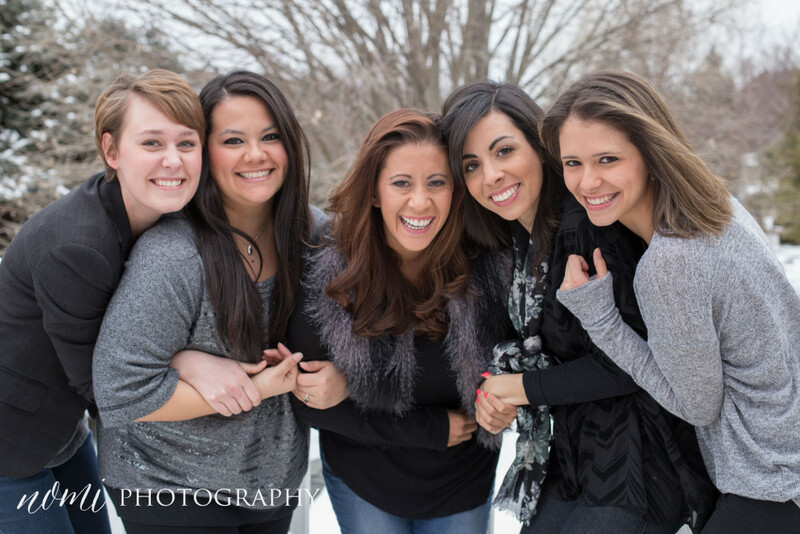 This was one of my most popular mini sessions last year, so email me soon to reserve your session! I always let my email subscribers have first dibs. I sent that email out earlier this week & slots went like crazy! There’s just a few spots left. I can’t wait to spend time with you mommies & your children!!!!!!!! This entry was posted in mini session on March 13, 2015 by Naomi Wilcox. 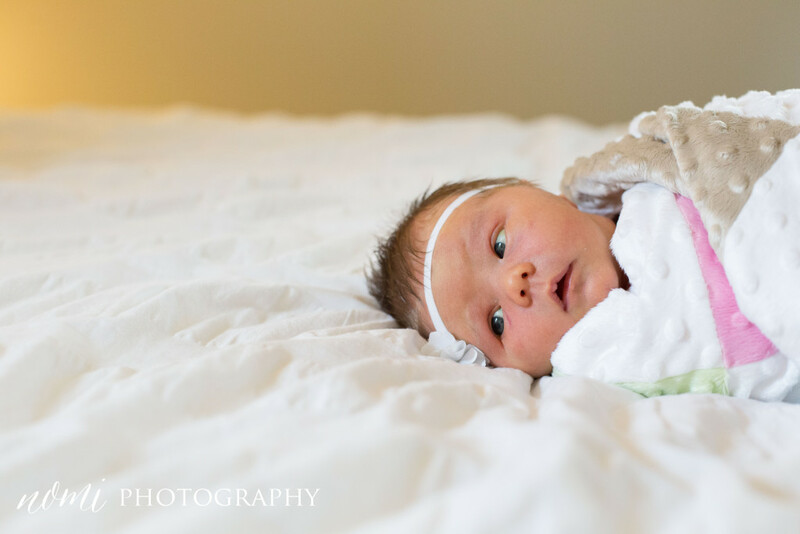 Last year, I realized how I LOVE photographing newborn baby sessions in my clients homes. 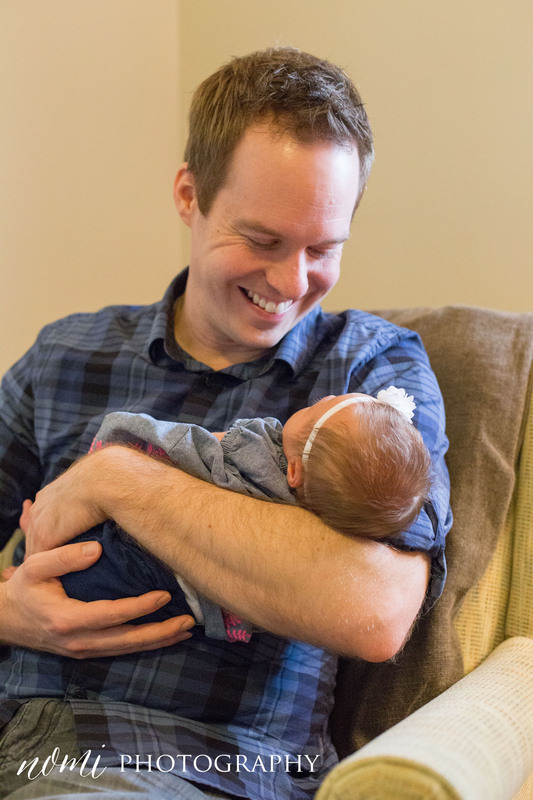 Bringing a baby home is no small item (pun not intended 😉 ). It’s a significant moment in a couples life. It’s the birth of a new season in a family. A brand-new life has joined your family & that moment, that time, that season that changes oh so quickly, needs to be remembered. A photo session with your new arrival should not be stressful. It should not be rushed. It should be as wonderful of an experience as possible! That moment of holding your baby with all the newborn smell & softness of their skin filling your heart is something you’ll never forget. And I’m here to help make that memory stay. We’ll discuss your session in a phone conversation & choose just the perfect time of day that fits your little one’s schedule. 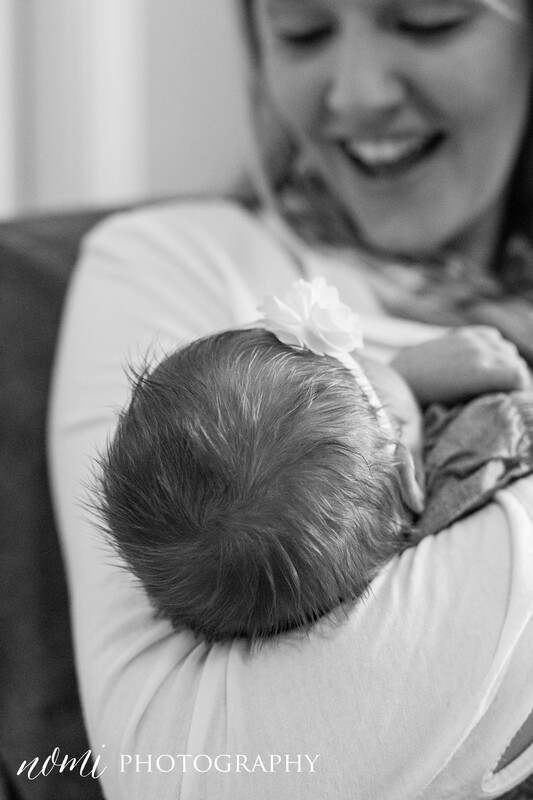 Because this is such a memorable time, I have put together a wonderful package for momma’s for 2015! 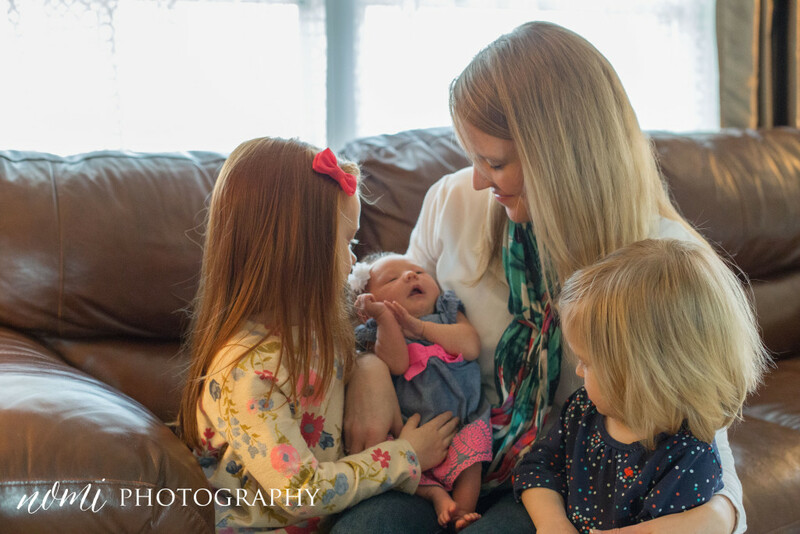 Any momma that schedules a Maternity Session AND a Newborn Session together will receive an $50.00 savings! (Complete price details are on my Investment pa). First, we will workout details to take in the time of your pregnancy, a time that comes only a few times in a woman’s life. And then we’ll work together as the weeks grow closer to the day of your baby’s arrival, for a newborn session. Along with this new package, I’ve added a personal touch. Recently I was going through some boxes & found the baby announcement my parents used to share my arrival 🙂 I may be old fashioned but it got me thinking how I could incorporate something like that into my newborn sessions. 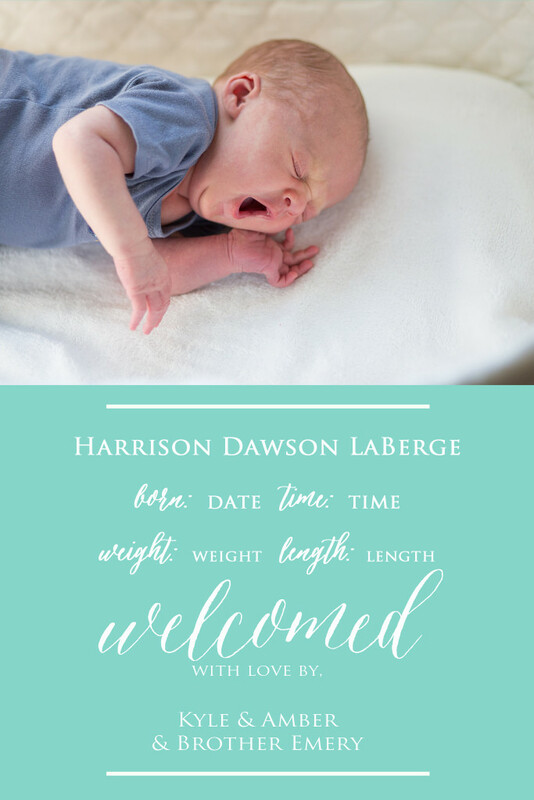 After dreaming about it, I’m very happy to share that ANY newborn session will receive a complimentary birth announcement! 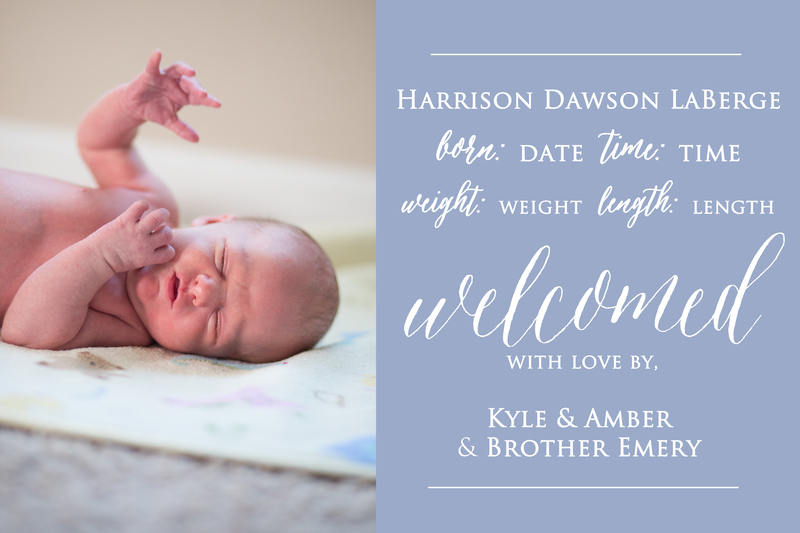 I personally have designed this announcement & am in love with how simple & classic it is. 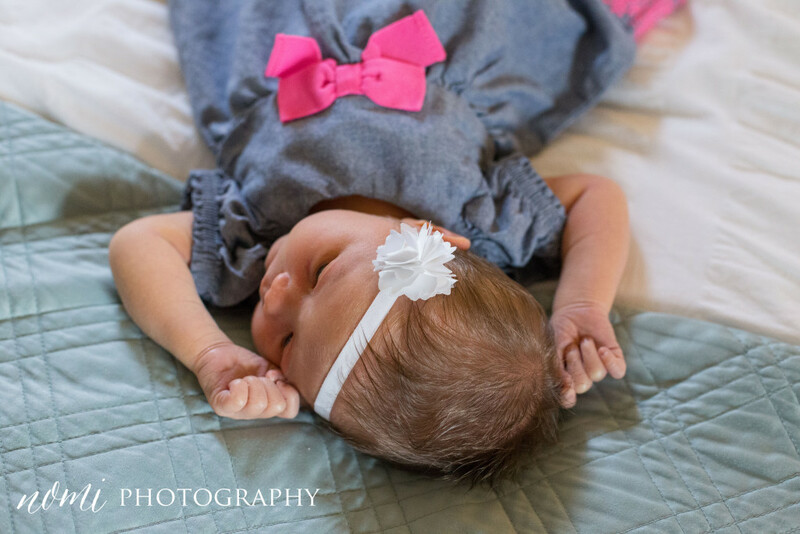 After having your Newborn Session, I will have the images edited with two weeks of your session. 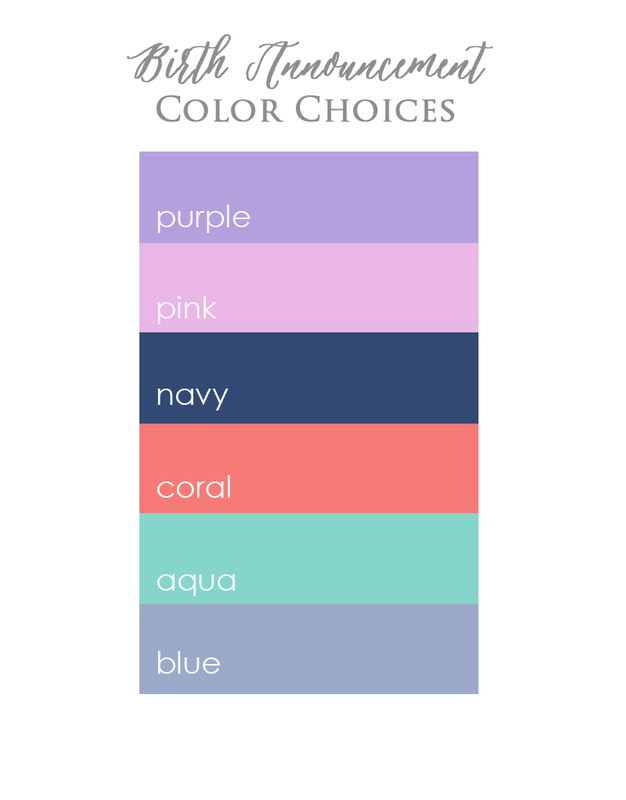 We’ll look over the images & you’ll choose which picture you want to use in the announcement, if you want it to be horizontal or vertical & then you’ll decide what color from the color palate you’d like it to be. I’ll use your choices & your baby’s arrival info to finalize the announcement design. The announcement will be a file you will receive that is the size set for a 4×6. It will be included in your images you’ll receive in the mail with your Nomi Photography client package. You’ll be able to print this 4×6 announcement anywhere you choose & give it to family & friends! 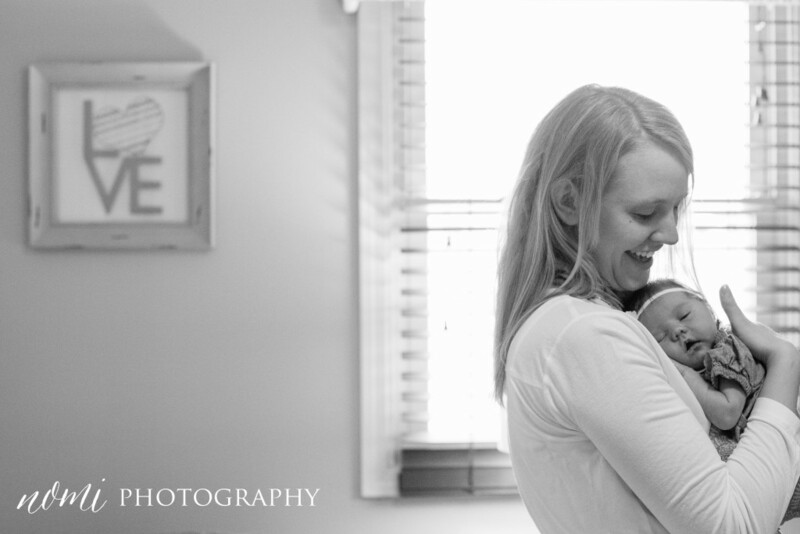 Having a baby’s first photo session in their own home, with the sounds & smells they are used to, is so wonderful. And if you’re worried about if your home will work to have a session in it, please, don’t worry! If your house has windows (which if it doesn’t, you should probably get a new house 😉 ) that’s all we need! If your home has windows, you are good to go for a special time of you & your family cuddling the newest member of your family while I happily snap away on my camera. 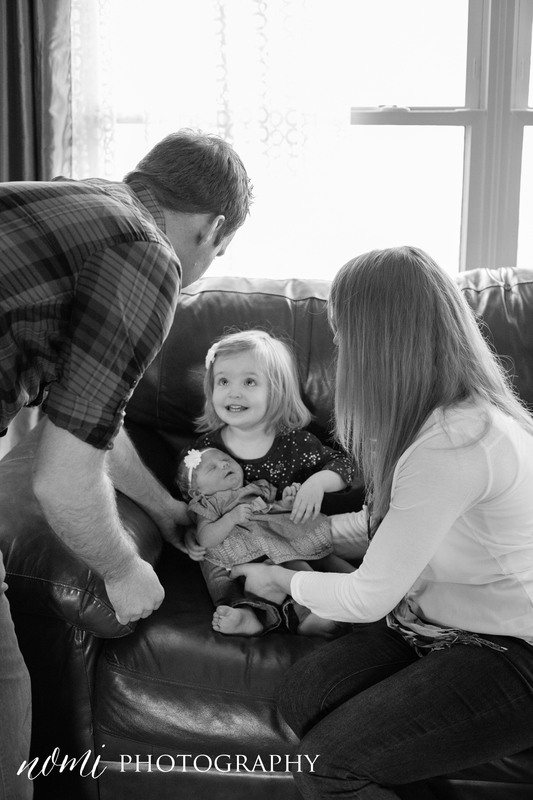 This entry was posted in maternity, newborn, notes on March 6, 2015 by Naomi Wilcox. Did you know April 10 is National Sibling Day? Now you do! 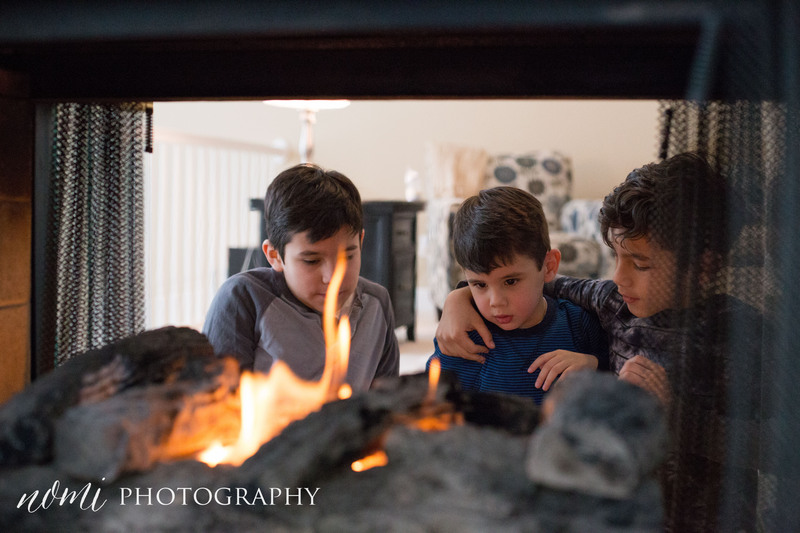 Saturday, April 11 is the date of the Sibling Mini Sessions I will be having! 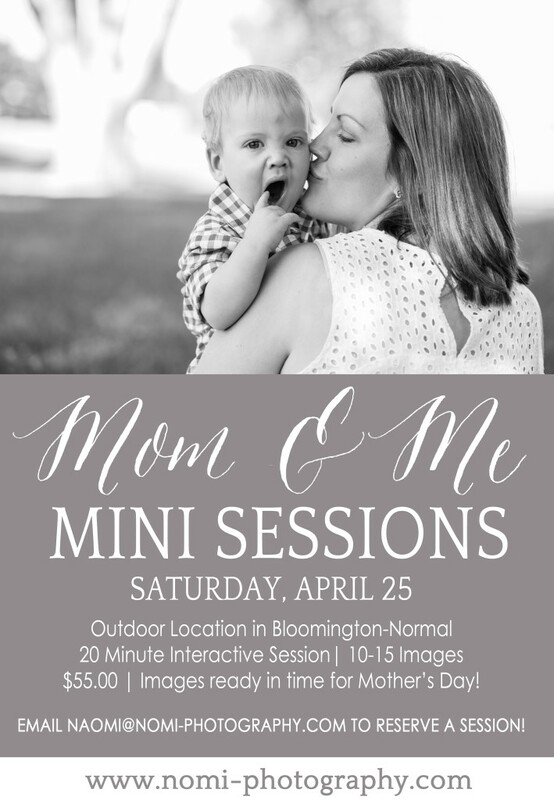 The Mini Sessions will be in the afternoon starting at 1:00PM at an outdoor location in Bloomington-Normal. I’ll be keeping my eye on a couple locations as things start turning green & we start to see more color!!!! I also thought it’s a perfect time to have your children take pictures (if you wanted to) in their Easter outfits! My siblings always took a group picture on Easter Sunday And this isn’t just for the young ones! Wouldn’t it be wonderful to get all your adult siblings together for some updated pictures?! These will be a 20 minute interactive photo session for siblings of ALL ages! 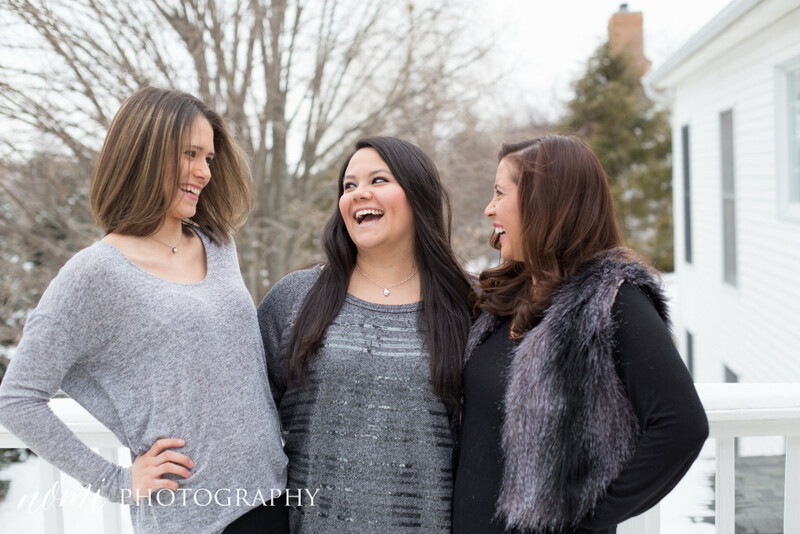 We’ll laugh, we’ll talk, we’ll play & capture the special relationship you have with your siblings. 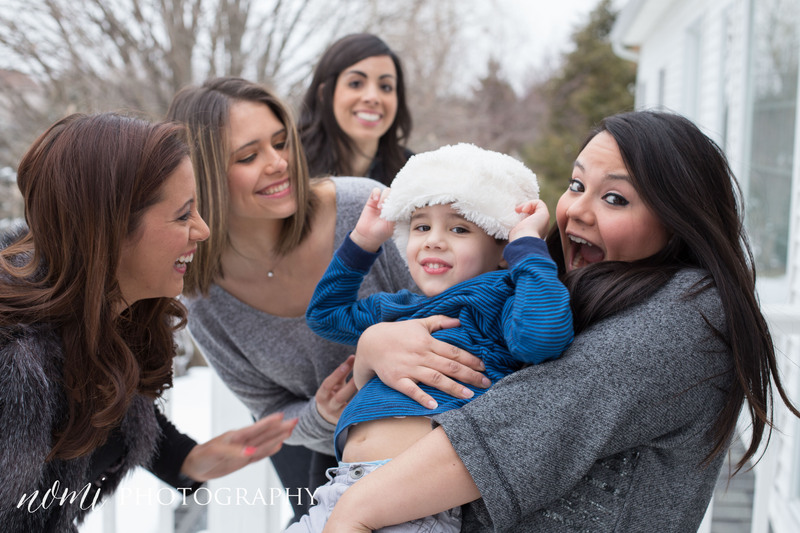 One of the key words of Nomi Photography is relational. I TRULY believe in capturing those special relationships in our lives and in an authentic way. Whether you’re 45 & you & your sister have not had pictures in a long time or you have 3 little ones- this mini session is just perfect! I’ve decided to only offer a select amount of slots so if you would like to schedule one, please contact me (naomi@nomi-photography.com) soon! (A full list of my 2015 Mini Sessions can be found here- http://nomi-photography.com/2015/02/mini-sessions-in-2015/). Each session will be 20 minutes long. A total of 10-15 images on a flashdrive will be mailed within 3 weeks after the session. Full payment of $55.00 is due at the time of the session. I can’t wait!!! Feel free to share & let your friends know!!! PS If you’re still not quite sure what a Mini Session is, here’s a brief description- it’s a shorter photography session (usually 20-30 minutes), a smaller amount of images then a full session, & all for a lower cost then a full photography session at a set location. 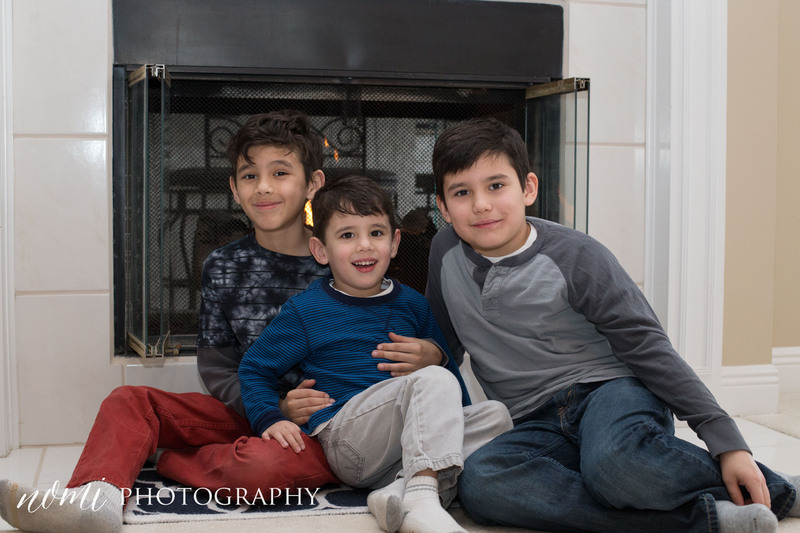 They’re on a set day & I schedule sessions with different families & individuals back to back with small 10 minute windows between each Mini Session. This entry was posted in mini session, notes on March 4, 2015 by Naomi Wilcox.